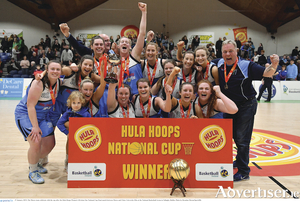 Maree Basketball Club’s senior women’s team are one game away from completing a clean sweep of national titles following their 84-76 win over Phoenix Rockets in the League Cup semi-final in Carlow on Saturday. On their first season back in the national league after an absence of a decade, Maree have already scooped the division one title - and promotion to next season’s Super League - as well as the division one cup, Southern Conference shield, and Women’s National League Committee (WNLC) trophy. The final month of the Basketball Ireland Men’s Superleague season was something of a mixed bag for Moycullen, but in the end they survived to fight another season in the top tier. 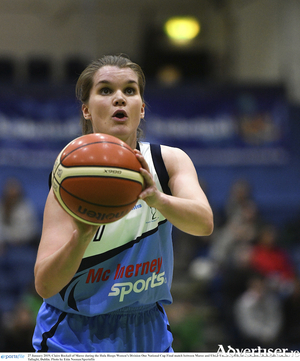 Maree finished their men’s Superleague campaign in impressive fashion on Saturday night, completing the double over Belfast Star for what was a third successive win to wrap up their season. It has been a roller coaster ride for Irish football fans this past week. 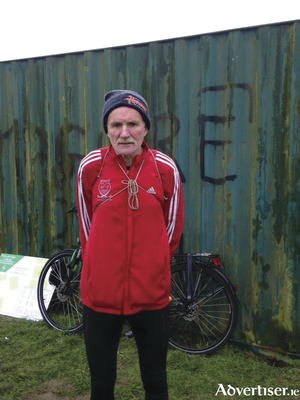 Cillin Greene of Galway City Harriers endured a heartbreaking initiation on the European senior stage at the recent indoor championships in Glasgow. A big day in women's soccer takes place on Sunday when Corrib Celtic face Mervue United in the U18 Premier Cup final. 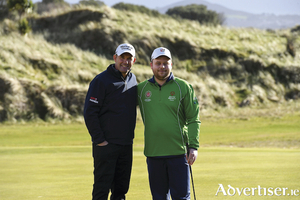 Local golfer, Simon Lowry from Loughrea, Co Galway, received the opportunity of a lifetime to meet with Irish golf champion, Padraig Harrington as he prepares to tee off in Abu Dhabi for the 2019 Special Olympics World Summer Games this March. The Bish has added another basketball trophy to its cabinet, winning the U14A Subway Schools Cup on Monday. The Galway school enjoyed a comfortable 49-35 win over Scoil Pobail Sliabh Luachra, Rathmore, after a great start which saw them in front by 13 points after the first quarter. Maree women's basketballers are on the brink of a rare double. 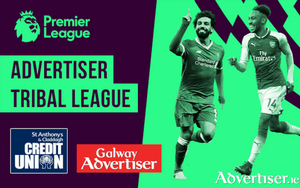 Having already won this year's division one national cup, the Galway outfit now heads to Limerick intent on adding the league title. 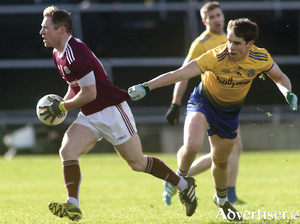 Galway, having kicked off their campaign with a win over Cork last weekend, now face a different challenge when they are back on the road to Lisseagh, Emyvale, on Saturday (2pm) to face Monaghan in the second round of the Lidl National League. Carlow was the big talking point on the hurling scene at the weekend, forcing a draw with last year's All Ireland finalists Galway in National Hurling League action. Galway enjoyed a hugely successful night at the GAA handball awards in Dunboyne Castle, winning three awards. Club of the Year went to Inis Mór Árann, Moycullen Handball Club was awarded Venue of the Year, and Martin Mulkerrins was crowned Player of the year - the first Tribesman to be awarded the prestigious title. Martin Mulkerrins has enjoyed a stellar 2018, becoming the first Galway man to win the 40x20 All-Ireland Championship. This enabled him to captain Team Ireland at the World Championships in Minnesota, where he reached the 40x20 final, falling to Killian Carroll. Galway’s top young athletes excelled at the National Junior and U23 Indoor Championships in Athlone IT on Sunday. Two gold medals for Galway City Harriers’ athletes Cillin Greene and Nicole Walsh were among the highlights of a great day's competition. 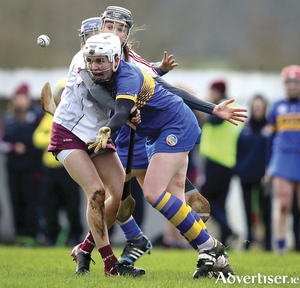 After a solid start for manager Cathal Murray in his first season, Galway senior camogie are now due to meet Wexford in Sunday's Littlewoods Ireland Camogie League division one fixture in Gort (2pm). Galway Senior Ladies Football open their new league campaign on Saturday when they face last season's beaten All Ireland finalists Cork in Mallow (1pm). Galway can be expected to bag a second National Hurling League win when they head to Netwatch Cullen Park to take on Carlow on Sunday (2pm).